As an importer and distributor of cables what issues should I be aware of under the revision of the Low Voltage Directive (LVD)? The Low Voltage Directive (originally 73/23/EEC, and later 2006/95/EC) is the oldest of the New Approach Directives* (NAD) adopted by the European Union to support the Single Market. It provides common broad objectives for electrical safety regulations, and covers all electrical equipment and components designed for use with a voltage rating of between 50 and 1000 V for alternating current and between 75 and 1500 V for direct current. Published last year, the revised LVD (2014/35/EU) is due to be fully enforced at national level in April 2016. After a UK public consultation later this year, it will be released as a revision of the Electrical Equipment Safety Regulations. The common broad objectives for safety regulations ensure that electrical equipment conforming to pan-EU requirements will be acceptable to use in all EU countries. These common elements do not include any specific technical standards that must be met, instead relying on CENELEC technical standards to guide designers to produce safe products. the appropriate conformity assessment procedure has been carried out by the manufacturer. If he has any doubt about this, he must refrain from placing it on the market. If the product has already been placed on the market, he has to take corrective actions. In both instances the manufacturer might need to be contacted to clarify any doubt about the conformity of the product. the manufacturer has drawn up the technical documentation, affixed the relevant conformity marking (e.g. 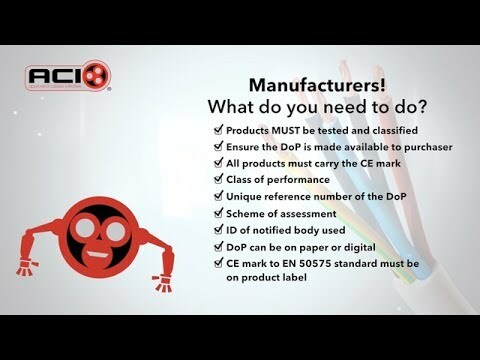 CE marking), fulfilled his traceability obligations and accompanied, where relevant, the product with instructions and safety information in a language easily understood by consumers and other end-users, as determined by the Member State concerned. A distributor must be able to identify the manufacturer, his authorised representative, the importer or person who has provided him with the product in order to assist the market surveillance authority in its efforts to obtain the EU Declaration of Conformity and the necessary parts of the technical documentation. the product bears the required conformity marking(s)(e.g. CE marking). the product is accompanied by the relevant documents (e.g. EU Declaration of Conformity) and by instructions and safety information in a language which can be easily understood by consumers and other end-users if required by the applicable legislation. the manufacturer and importer have indicated their (1) name, (2) registered trade name or trademark and the address at which they can be contacted on the product or, when not possible because of the size or physical characteristics of the products, on its packaging and/or on the accompanying documentation, and that the product bears a type, batch or serial number or other element allowing the identification of the product. What is the latest guidance on Construction Products Regulation (CPR)? A: Construction Products Regulation (CPR) ensures consistentinformation is available for those who need to know by enabling the performanceof construction products throughout the EU to be assessed and comparedirrespective of the manufacturer or country of origin. Since 1st July 2017, cable with a Reaction to Fire,supplying electricity and/or signals, and used permanently in building andconstruction works for power, control and/or communication, requires aDeclaration of Performance (DoP) and CE Marking under CPR. Such cable must meet European Standard EN 50575: 2014 + A1:2016which specifies the test and assessment methods to be used for Reaction to Firerequirements. The results are expressed in a hierarchical series of classes(Aca down to Fca). CPR details the way in which a product is placed on themarket including assessment and testing methods, product performancedeclaration and the scheme of assessment. It does not say HOW and WHERE aproduct should be used. It is the responsibility of the regulator or equivalent ineach Member State to decide if a particular product shall be required to meet aspecified class of performance when installed in a designated building orconstruction works. In the UK the authority is the Department forCommunities and Local Government, and they have decided not to make any suchspecifications for cables. Nevertheless, there can be market checks by TradingStandards and other regulatory type bodies, and there are penalties for puttingproduct on to the market that is not CPR compliant. 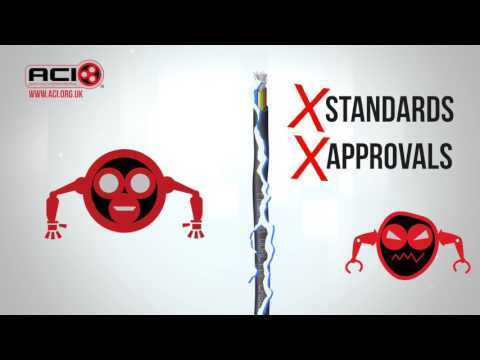 The Approved Cables Initiative proactively polices themarket for non-compliant cable product and has already brought to the attentionof relevant UK authorities some breaches of CPR Certification and Approval. The DoP may be in paper or electronic format. If in doubt contact the manufacturer. When importing from a non-EU country, the wholesaler/distributors has the same responsibilities as a manufacturer and becomes the person first placing the product on the market. CPR does not replace the need for cables to meet existing product standards and codes of practice. There seems to be more and more cable being supplied into the UK especially from Turkey that lacks enough chalk for the cable to be stripped easily. Is there a standard with regards to the application of chalk during the manufacturing process? The application of chalk constitutes good manufacturing practice for the relevant cables. It is not something that can be directly written into standards, but there are indirect requirements that have relevance. Some non-exhaustive examples are: BS EN 50525-1 - The sheath shall not adhere to the core(s), and shall be capable of being removed without damage to the core(s). BS 7211 - When the sheath is removed, there shall be no damage to the core insulation when visually checked. BS 7629-1 - When the sheath is removed, there shall be no damage to the core insulation when visually checked. Where such cables are part of a 3rd party approval scheme, such as those via BASEC, this would be part of their testing and assessment. Does a cable need to be marked in order for it to be safe to use? The Approved Cables Initiative advocates that contractors should check their cables for manufacturers and 3rd party approval markings. Whilst there is no legal requirement for manufacturers to place their name on the cable most do, and all should have their name on the packaging. In order to conform to cable standards specific marking is required. Unmarked cable, with no manufacturer’s name or details should give rise for concern. With such products there is no traceability so it is impossible to take action where there is an issue. All unmarked cable tested by the ACI to date has failed against the relevant standard – a 100 percent failure rate. Fraudulent markings present a particular challenge, as it is often difficult to tell that a cable is not manufactured to the appropriate standard for its use merely by looking at it. So much so that many organisations throughout the supply chain are not even aware of the seriousness of the problem. 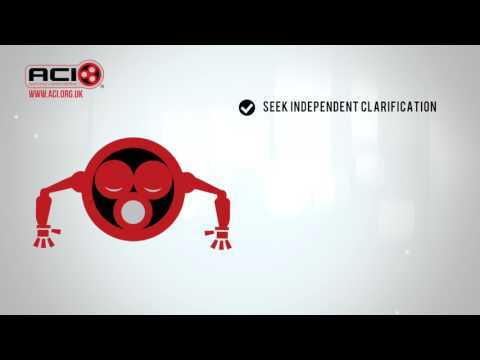 The ACI recommends that all in the electrical supply chain routinely check cable markings and cable reels to look for a manufacturer’s identification that they recognise. Never accept cable without markings, especially if no details of the manufacture are included. On site there are further checks that can be completed at the point of delivery. Here it is important to check what has been purchased and inspect the product. Is it what has been specified or has an inferior product been substituted? It is important to make sure records of purchases and deliveries are maintained so that what has been installed can be checked against what has been purchased and against the original specification. Maintaining a quality management system to ISO 9001 can help in this instance. Are the public really in danger? Aren't most cables capable of taking much larger loads than that shown? Why has the Government allowed unsafe, non-approved and counterfeit cables, of numbers up to 20 percent to enter the UK? Current legislation (some of European origin) allows cable to be sold with few checks. It is assumed that all cables are made to British, European or International standards and that these Standards ensure cables are safe to use. It would be difficult for the Government to know that public safety has been threatened by these non-approved and counterfeit cables unless they receive information from the industry. What authority does the ACI have in terms of investigating and penalising the electrical supply chain? The support already given by a number of industry trade bodies demonstrates that the ACI is recognised as an authoritative organisation which is working to support current legislation. It is hoped that through education more companies within the industry will follow this strong lead. How are you working with Government bodies - HSE and Trading Standards? 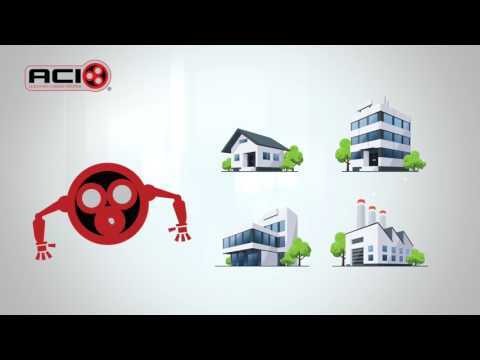 Are they fully supportive of ACI objectives? The ACI works with and takes guidance from these important Government departments, to help them understand the seriousness of the situation and to work with them to agree on the most appropriate enforcement action deemed necessary. Do you think unscrupulous importers take any notice of your campaign? They have been getting away with it so far and probably will continue to do so whilst the copper prices are high and the demand for copper products exists. The ACI is highlighting any cases where we find unscrupulous practice and we encourage users to avoid such sources. We believe the introduction of new legislation would outlaw the import of non-approved and counterfeit cables and in doing so eradicate the problem - protecting the public from these dangers. My wholesaler has some great value cable, it's dirt cheap, and he says it's great; however, it seems 'too good to be true' - what could be wrong with it? •Is the cable marked with manufacturer’s name and factory identifier for traceability? •Does the cable carry the correct BS or European Standard number? •Does the cable have third party approval? •Does the cable marking have the correct number of cores and cross sectional area? •Is the cable marked with the correct voltage rating? •Is the cable correctly packaged the with manufacturer’s traceability information? •Does the cable have the correct national and /or European cable code? •Does the cable carry the year of manufacture? •Does the cable conform to the delivery note and order placed? If any of these points are not ticked off when you check, then the cable may not be what it is purporting to be. 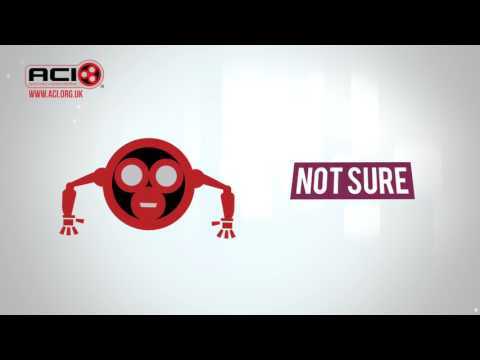 If in doubt the ACI would advise having cable tested for conductor resistance. British Approval Service for Cables (BASEC) can assist with cable testing where there are concerns about the validity of a cable product. Please provide at least a 2 metre sample of any suspect cable for official testing and verification. And if I fit in in someone's house what could happen? Should you chose to ignore the ACI’s check list and purchase and then install the cable which subsequently turns out to be faulty or substandard then you will be liable. The liability extends to any remedial work that may be necessary including the removal of the faulty cable, the cost of a replacement cable and installation plus any `make-good’ following the work. The dangers of cable malfunctioning are well reported and in the worst case scenario it’s worth remembering that some faulty cable could lead to fire and the associated risks are enormous. How can I tell if it's not compliant - am I able to see it? Anything I should look out for? Defective cable cannot always be spotted by the untrained eye and even then many such cables go unchecked unless they are subjected to routine tests as part of an installation process. To be sure of a cable choice consideration needs to be given to all the points listed already when you look to make a cable purchase. How can I be totally sure the cable I'm using is OK? To ensure that you are making the right cable choices the ACI recommends only buying and installing cable from reputable wholesalers and cable that has been independently tested and has been third party approved. The ACI believes that vigilance and proactive involvement to help with sample testing is key to tackling the substandard cable issue. Those tasked with purchasing can adopt some wiser practices to protect themselves and their customers but primarily it is vital that purchasers resist the opportunity to buy cheap cable product. Cable will often be cheap for a reason – and not always the right reason.